The Center for Indigenous Arts & Cultures (CIAC) works on cultural preservation projects within communities, then develops educational curricula, books, courses and events to achieve broad outreach. CIAC advances multicultural education through the varied perspectives of indigenous peoples from around the world. 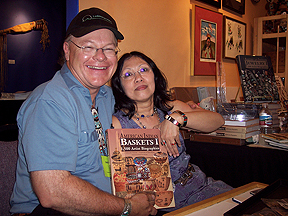 at a 2006 Art show in Santa Fe N.Mex.